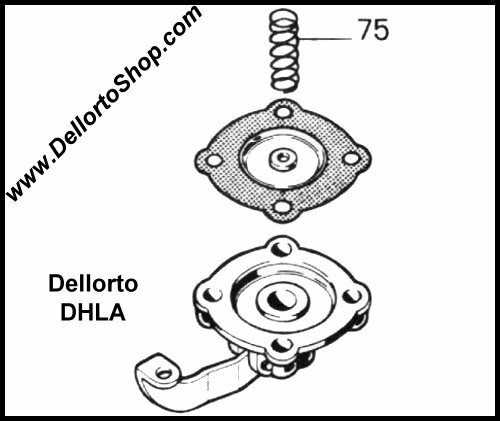 Pump Jet Pump Diaphragm Spring for the early Dellorto DHLA series carburetors. 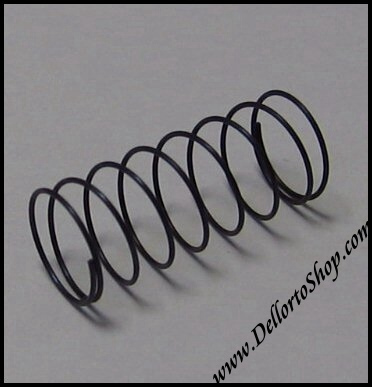 There is also a "strong" spring available for the later versions of the DHLA. 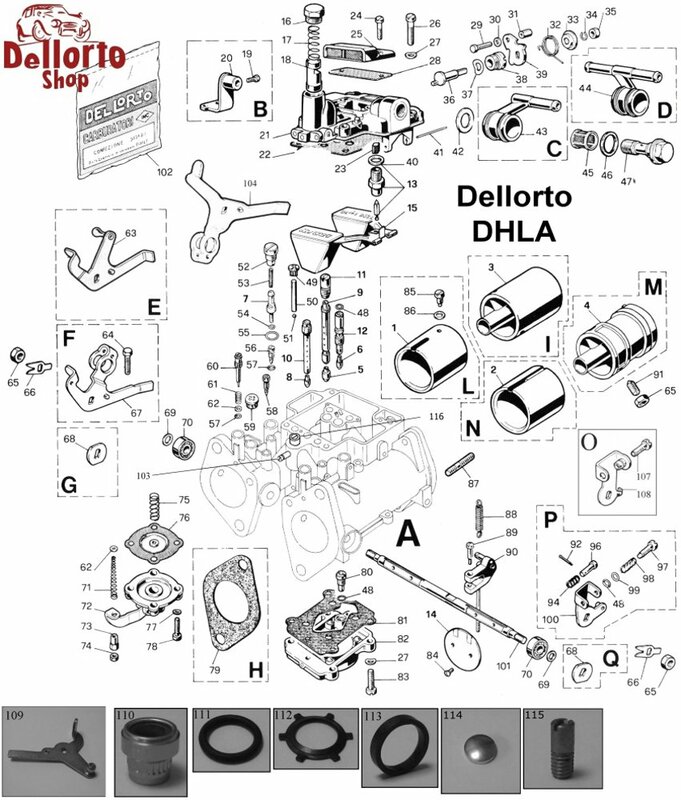 That spring can be found under article number 9663. This is item number 75 in the drawing.